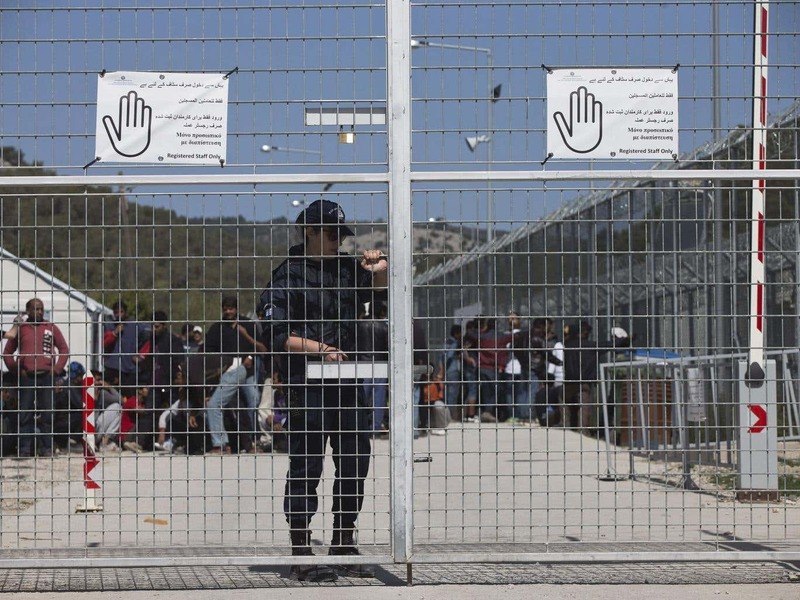 15 april 2016 – The Independent journalist Lizzie Dearden reports on the appaling conditions in which 2,900 refugees have to live in Moria, Lesbos. The refugee camp at Moria was turned into a detention centre as part of the EU-Turkey deal and from that moment the situation deteriorated substantially. Pope’s visit led to last-minute improvements, but as Sacha Myers of Save the Children says: “… they don’t change the fact that we have still got thousands of people locked inside this detention centre with no idea how long they will be here”. asielaanvraag, EU-Turkije deal, migratie, vluchtelingenproblematiek. Bookmark.